Plaza La Isla Cancun is an excellent place to spend a very pleasant day with your couple or your family if you are visiting the city for the first time and if you don´t have a clue of the things to do in Cancun, this post will give you the solution of where to go in Cancun. 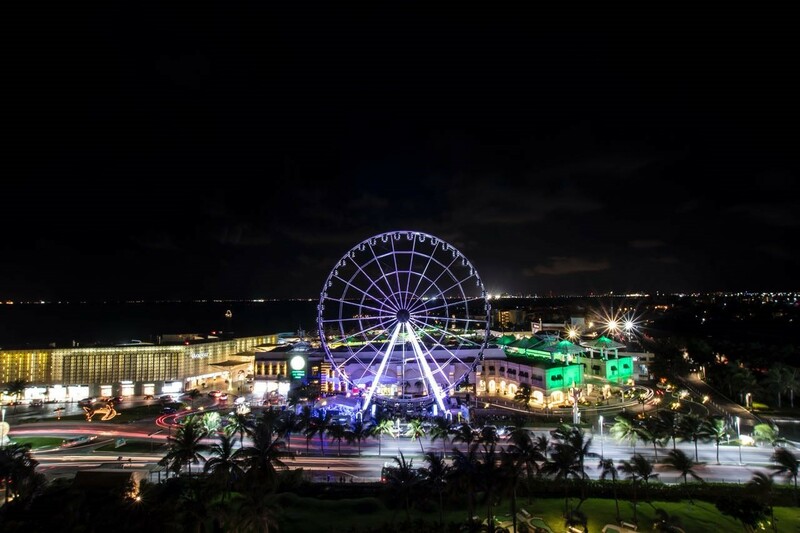 With its beautiful view of the lagoon and the water channels that cross the mall, this place has become a “must” from the places to visit in Cancun. Besides being a very nice and pleasant mall, it has everything you need to spend a full day of activities and joy; from restaurants in Cancun, bars, designers’ boutiques, cafeterias; to museums, an aquarium and swimming with dolphins, to make your vacations totally unforgettable. Do you want to learn more about the “spots” and activities that Plaza La Isla Cancun offers you? La Isla Cancun Shopping Village is located at Cancun’s hotel zone, it has over 162 stores with the most prestigious and well-known brands internationally; and if this were not enough, right here you can find Cancun’s Interactive Aquarium, where you not only can learn about 140 aquatic species, but can also experience the wonderful activity of swimming with dolphins with a beautiful view of the lagoon. This is our proposal of A PERFECT PLAN for a whole day at la Isla Cancun Shopping Village. 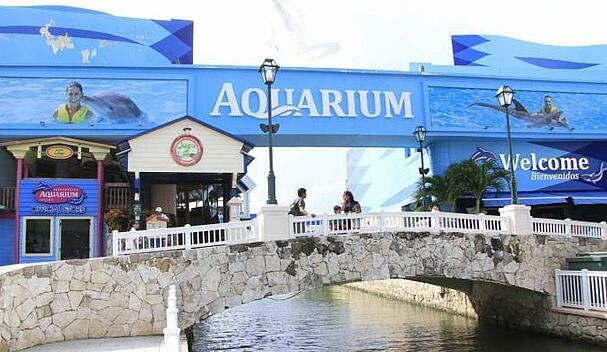 As we were mentioning before, either with your couple or with your family, you may start your day at the Interactive Aquarium of Cancun to book the activity of swimming with dolphins first thing in the morning and enjoy it without haste. If your go with your couple, the Interaction Couples is the perfect option for you! If you go with your family the best option is a Primax4 interaction or you may even try the newest of our products, the Delphinus Trek. It is about an incredible submarine walk where you will be able to interact, feed and commingle for 20 minutes in the water with different aquatic species such as: shad fish (Prochilodus lineatus), orange tail triggerfish, yellowtail fish, pepper tang fish or surgeon fish, Moorish idol, African surgeon fish, Arothron nigropunctatus or dog face balloon fish, Acreichthys tomentosus or filefish, Siganus or yellow fox face fish, Ringed tail surgeon fish, cownose ray and Palometa, shovel fish. Undoubtedly these are excellent options of activities to do in Cancun with the family and you will have an excellent memory of your vacations at the Caribbean. 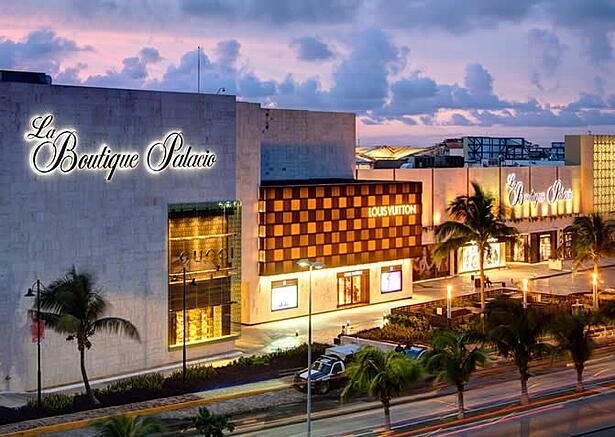 If you prefer a little bit of shopping in Cancun, we suggest you to walk the mall and visit the stores either before or after swimming with the dolphins. The village has a great variety of stores with the best designer’s brands where you can buy clothes, accessories, jewelry, perfumes and many more articles that you will only be able to find here. Likewise, you will also find department stores with prestigious national and international brands. If you are looking to buy something for your family and friends from your trip to Cancun, there are also souvenirs’ stores with incredible options. Where to eat at Plaza La Isla? If you already went to the stores and visited the Interactive Aquarium, you must be tired and hungry, so this could be the perfect moment to eat at the Thai restaurant floating on a cottage over the Nichupté lagoon. This restaurant even has a cocktail bar where you can admire the dolphins. If you like this idea, just wait because the best of the options of Cancun’s La Isla does not end here. 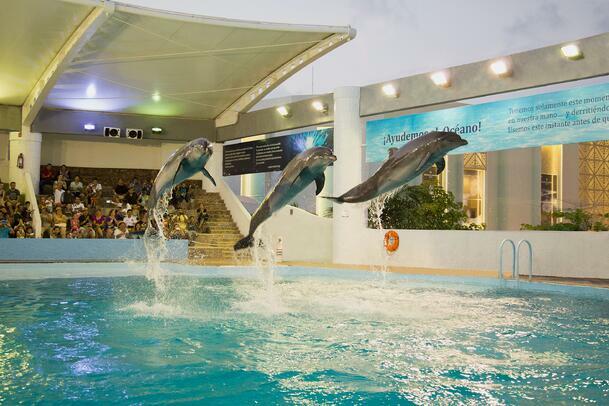 After dinner, we propose you to watch the sunset in front of the lagoon and the go back to the Aquarium to enjoy an incredible presentation with marine mammals that you will surely love; it comes already included in your ticket for the Aquarium or in your purchase for the interaction with dolphins. A romantic view of the Lagoon. 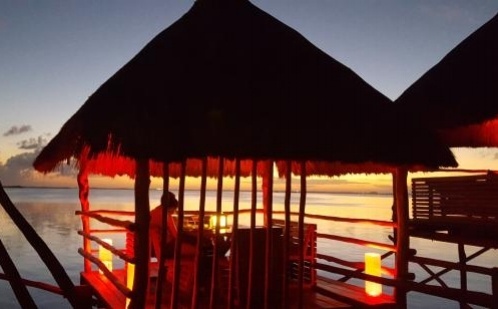 To close the day with a flourish, nothing could be better than going to one of the many Gastronomic options available in front of the lagoon or to visit some of the bars that offer a great variety of national and international cocktails. Make the most of your next vacations in Cancun and profit of this unique Caribbean destination in Mexico.